The weather outside is turning frightful and it’s that time of year when accidents and injuries are plentiful. 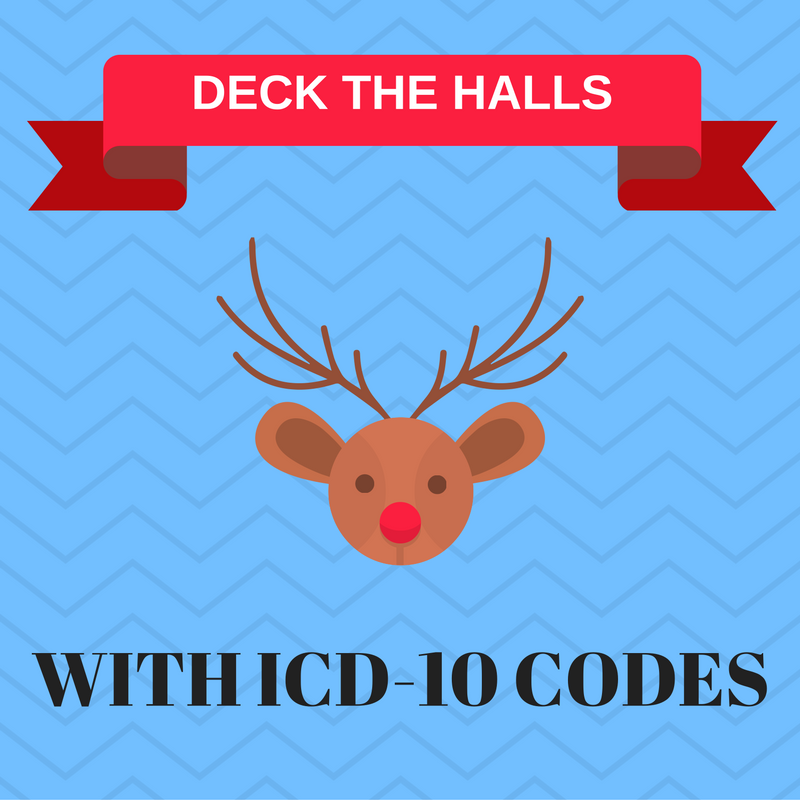 Here are 10 funny ICD-10 codes to help you get through winter and the mayhem of the holidays. Y92.59 – Injury at shopping mall. The day after Christmas sales can be hectic. Shopping-related injuries are not just limited to Black Friday. Was it the extra slice of ham, or the five gingerbread cookies, or maybe it was the third helping of stuffing that pushed you over the edge? V80.1 – Injury as occupant of animal-drawn vehicle. W00 – Fall due to ice and snow. Slick parking lots and high heeled shoes are not quite compatible. Time to invest in a pair of snow boots! T28.0XXA – Burn of mouth pharynx, initial encounter. That day your hot cocoa was just TOO hot! Next time stick to the egg nog. W29.0XXA – Contact with powered kitchen appliance, initial encounter. You are finally breaking out that new Kitchenaid mixer to whip up a batch of sugar cookies. Sampling the batter while the blade is still running can lead to a trip to the emergency room. Grandma got kicked by a reindeer? Yes, there is an ICD-10 code for that. Staying up until 3 am wrapping the kids presents when they insist on opening them at 5:30 am. Not even that extra cup of coffee will help. Fighting over the last piece of apple pie can turn ugly at the dinner table. Losing your gloves in the middle of the most epic snowball fight can quickly go downhill. 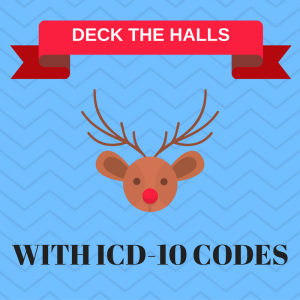 Do you have any other funny ICD-10 codes that you’d like to share? Post them on our Facebook page.